The Goldhead Hairy Mayfly is one of the highly successful Hairy Goldhead Nymph series of flies. Thread : Yellow or cream 6/0 or 8/0. Tail : Squirrel tail dyed brown. Body : Cream woodchuck underfur dubbing. Thorax : Cream woodchuck underfur. 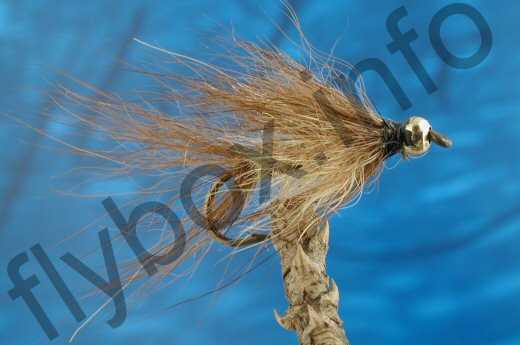 Hackle : Brown squirrel tail. Currently there are no comments about the Goldhead Hairy Mayfly fly pattern from other fly fishermen yet.